CHAMPAIGN, Ill. (AP) — As expected, Illinois showed up to play what many thought would be a nonthreatening Kent State team on Saturday. Unfortunately, its offense didn’t arrive at Memorial Stadium until midway through the third quarter. But the win didn’t come easy for Lovie Smith’s Illinois team, expected to easily turn around a 2-10 season from last year. Following a lackluster first half that saw Kent State leading 17-3, Illinois quarterback AJ Bush showed the crowd of 31,898 why offensive coordinator Rod Smith called him a “dynamic, dual threat.” Bush passed for 190 yards on 23 attempts, and rushed for 139 yards on 21 carries. “Any team that judges us off this game will be in for a rude awakening, I promise you’” Bush said after the game. “Offensively, we knew we had a lot of weapons and I thought the offensive coaches gave the guys a chance to make plays,” Lovie Smith said. Woody Barrett, announced by first-year Kent State coach Sean Lewis as the starting quarterback at game time, was 28-of-41 passing for 270 yards and two touchdowns. He threw an interception late when Illinois linebacker Del’Shawn Phillips picked off a short pass into the end zone that would have tied it with less than three minutes remaining. The loss of defensive backs Williams and Hobbs hurt the Illini, allowing Barrett to pepper the Illini secondary with passes early in the game, throwing for 110 yards and two touchdowns in the first half. Illinois tightened up in the second half. Losing Dorsey also hurt with backup Daniel Barker a nonfactor in the game. 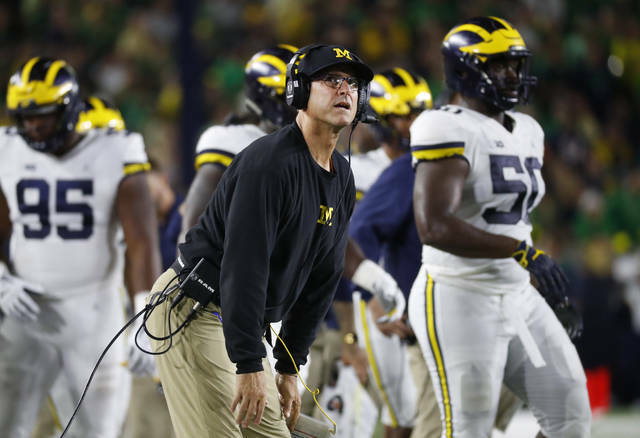 The team said the suspensions were for “breaking team rules.” No further information was available, nor was it certain how long the players will be out, although Lovie Smith indicated after the game it might be sooner rather than later. With 2:11 left and Illinois up 31-24, Kent State drove to the Illini 2-yard-line. After being backed up to the 6, Barrett dropped back on fourth down. Carrigan had slipped to the left and was open briefly in the back of the end zone. Barrett fired the ball and Phillips leaped and snared the interception, ending the Kent State threat and securing the Illinois victory. Illinois was expected to cruise to victory over a Kent State team picked by most to finish last in the Mid-American Conference. But Rod Smith’s offense didn’t awaken until midway through the third quarter, finally bringing the crowd to its feet as it struck twice in less than three minutes to tie the game at 24. Saban is taking pains to avoid seeming critical of Hurts. Freshmen Ronnie Perkins, Brendan Radley-Hiles, Justin Broiles and Ryan Jones were key contributors in the seventh-ranked Sooners’ 63-14 victory over Florida Atlantic in the season opener Saturday. Oklahoma held the Owls off the scoreboard for the first 44 minutes and limited star running back Devin Singletary to 69 yards on 18 carries. It was a rousing start for a unit that has been criticized for failing to support Oklahoma’s dynamic offense at times in recent years. HONOLULU (AP) — The 14 boys and three coaches who delivered Hawaii its first Little League World Series title in a decade received a hero’s welcome on their return home. Yet too often during her nine months on the job — a brief tenure that ended Tuesday when Perry resigned amid pressure from the United States Olympic Committee — it was Perry’s voice that was missing. USA Gymnastics responded by asking Tracy to step down. While the request was made in the interest of protecting USA Gymnastics legally — Raisman has filed a lawsuit against the federation — it also became another public relations pratfall.